Abby the Librarian: Whatcha listening to? 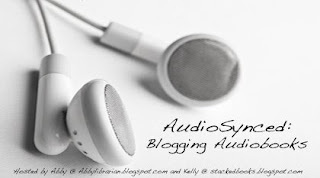 Y'all, don't forget that on April 1, I'll be posting our monthly AudioSynced Roundup, collecting audiobook reviews and news from the month of March. There's still plenty of time to post! You can drop me a link to your post any time (comment, email) or head over here to Abby (the) Librarian on April 1 to add your link to the roundup. Check out last month's AudioSynced Roundup over at Stacked. Feel free to grab this graphic for your post if you so desire and please spread the word!